A close look at this image will show a point wedge hammered into the bottom of the cant. It can be seen in the previously image also. 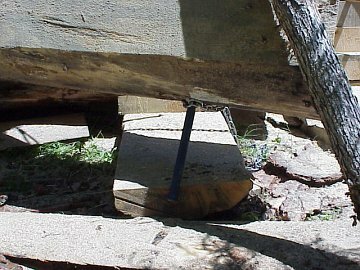 I then wrapped the chain around the point and the come-a-long lifts and twists the cant positioning for the timber for support wedges and stabilization.